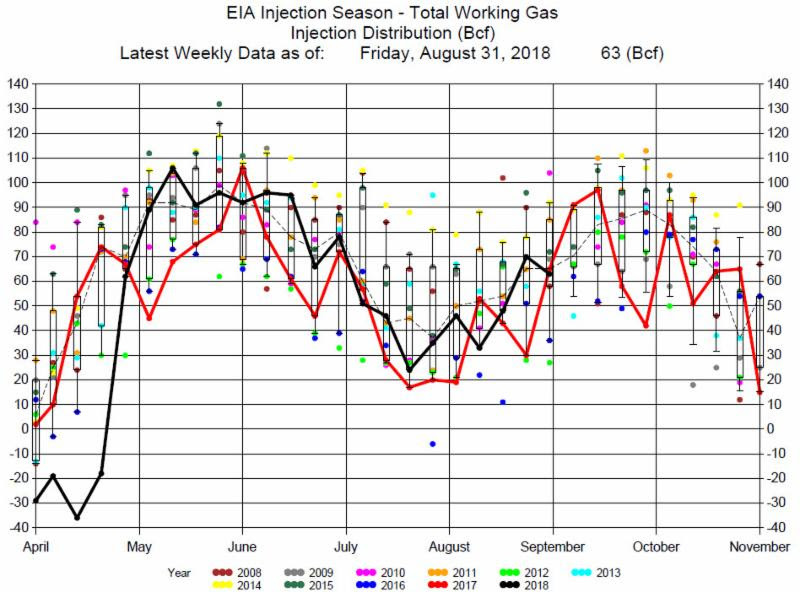 The EIA reported an 86 Bcf Injection for the week ending September 14, 2018. 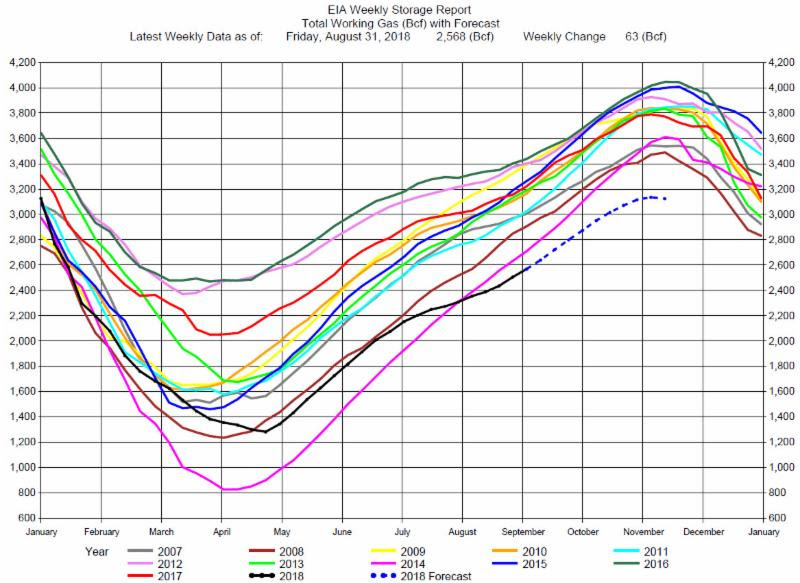 The injection was at the average for this week of the year, but greater than the average of expectations of an 82 Bcf injection. 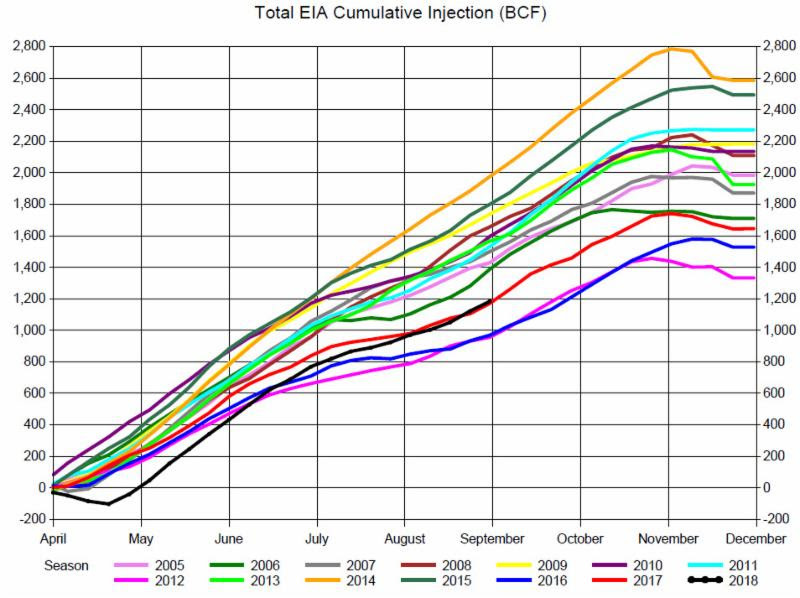 Expectations had a range from a 77 Bcf injection to a 94 Bcf injection. 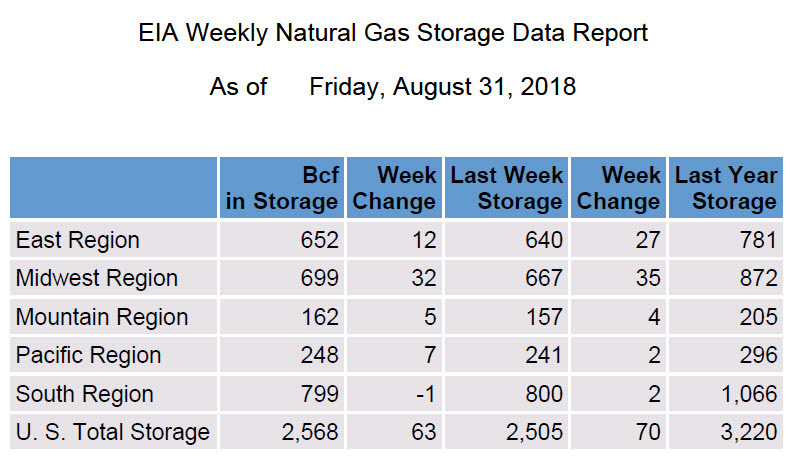 Because the reported storage injection was greater than expectations one would expect prices to be pressured down with the additional supply. Instead, prices jumped near 2 cents with the release of the report. Prices rallied to nearly $3.00, just touching $2.99 before falling back and ending the trading day up 5 cents. Prices could not break through what technical traders call a major resistance level of $3.00. The next recent major resistance level may be the high trade of $3.025 on June 15, 2018, The few trading days should be interesting. We recommend staying on the sidelines.